My mother wrote this as part of her family history memories for my sister and me in 1980. I am putting the whole piece here then I will reprint each sister’s section with the new information I found and corrections that needed to be made after I found descendants for most of them. 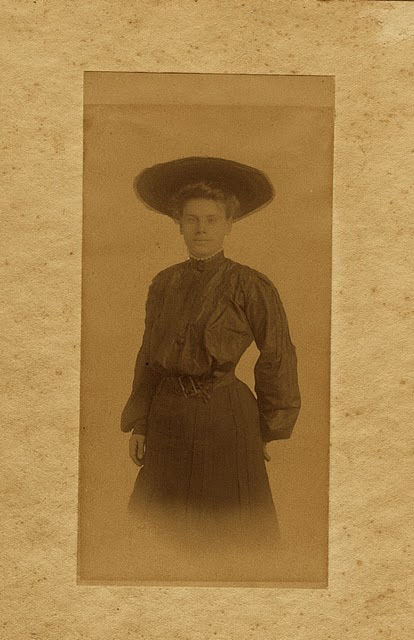 My mother’s grandmother was Jennie Virginia Allen Graham. The women she writes about are her grandmother’s sisters, her great aunts. When “grandmother” is mentioned that is Jennie Virginia. 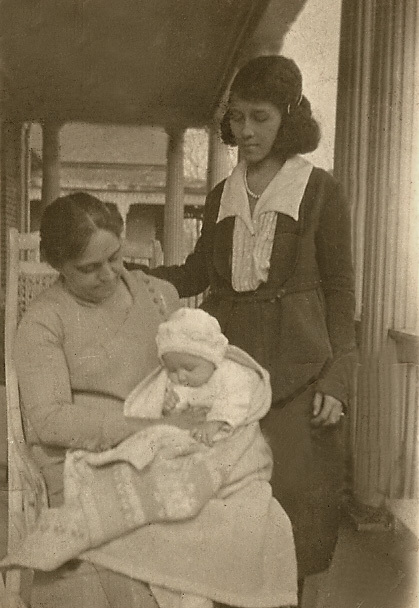 Now a word about her sisters….Aunt Willie was the oldest….married well…Victor Tulane (Tuskegee trustee and owner of a general store and many houses). 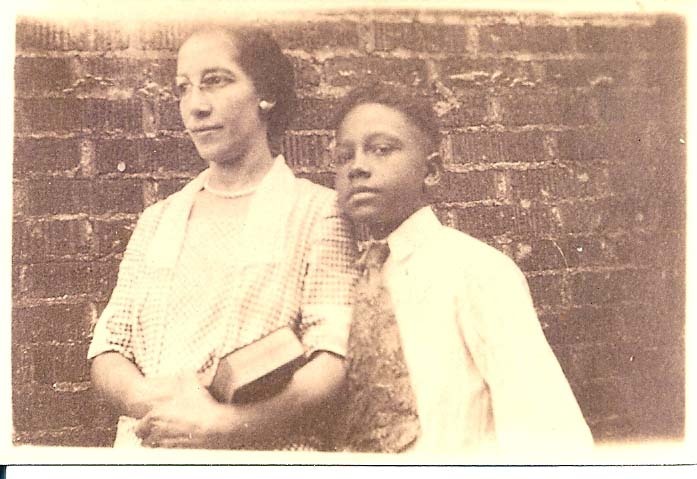 He was not what you’d call a “faithful” husband, but Aunt Willie (the family said) looked the other way because he always took such good care of his wife and only child, a daughter Naomi, who was sent to Howard, married a doctor and went to live the high life in New York. Aunt Willie had a beautiful apartment over the store. Always had a maid and never worked. She was living like this when Grandmother was a struggling widow. She was the last sister to leave Montgomery. She died in New York. Her son-in-law had died, left her daughter wealthy with apartments in NY paid for, insurance, money for the education of the four children in the bank, etc. I remember shoes hand made in Italy being in the boxes of impossible things she sent mother. They were always distant “rich relations”. Don’t remember even seeing any of the children except one young woman who came to Detroit briefly, stayed with Margaret McCall. Saw Aunt Willie once. She and Aunt Abbie came to visit us when I was small. Don’t remember her saying much or ever smiling while Aunt Abbie was as you remember her, friendly. Aunt Abbie married a Mississippi Riverboat gambler, swarthy and handsome and no good, who stayed home on two visits long enough to give her two sons and then sent her trunks of fine clothes to wear or sell to take care of herself and the boys. Whenever she talked about him she sounded like she hated him. She resented the lack of money. Said once the oldest boy Earl (named for his father) screamed for days with toothache and she could not take him to the dentist who didn’t want any fancy clothes or jewelry. She resented raising the children alone. I got the feeling she hated them and they hated her and she resented him being off having a good time while she stayed home with the problems. She talked about him In a completely different way than she talked about her Jewish policeman who bought her a house on Ripley St. and spent much time there, for whom she loved to cook and keep house. She came to live with Mother to take care of Daddy (!) so Mother could come to Springfield and help me when Kris was born. In later years when they lived on Fairfield, Mother and Daddy used to argue about this and they would call me in to referee. He’d say he took Aunt Abbie in out of the goodness of his heart like all the rest of her family, and that she was not supposed to stay on them forever but was to go live with Aunt Margaret. Mother would say Aunt Abbie came to take care of him because (here she would make a mouth at me) he could not take care of himself and work even tho he could cook better than she and do everything else in the house too. I think we are always angered at the way men can say this is the limit. I can’t or I won’t do this or that and we seem to have lives where you do what is to be done since you have no one who will hear you if you say you can’t or won’t…hold my hand Charlie Brown! And that he knew very well she was going to live with them and visit Margaret occasionally. Mother was right. He said Aunt Abbie came to have cataracts operated and to be taken care of. He was wrong. Her eye operations came years later. He said to me once that he had always taken care of Mother’s people and she would have nothing to do with his. I know how Grandmother depended on him to fix things around their house and he was most agreeable and I always thought he loved it. They made over him when he came with his box of tools. I was always there as helper, but he got very tired and mistreated about having both Alice and Aunt Abbie to take care of. He didn’t like either one. But I never could get him to send them to a nursing or residence home to live. He always said what would people say if I did that. When people talk like that I give up because they are obviously making the choice they prefer. Back to Aunt Abbie. She loved to cook and do everything else about the house. Mother would not let her do anything except clean her own room and do her own washing and ironing and Mother hated everything about housekeeping except cooking, but she said her husband expected her to take care of him and his house and (she didn’t say this) she’d be damned if she’d let anyone else do it as long as she could. I couldn’t talk to her about it. Aunt Anna was the sister who went to Chicago, got a job as teller in a bank, married the bank manager who was a widower with children. He knew she was black but no one else in his family ever did. I’ve often wondered what they did for birth control. They were young when they married. He was well to do. She used to write Mother and Mother would write back c/o general post office. Said she loved him but felt very lonely all the time not to be able to see her family and knew the children would have nothing to do with her if they knew. She was supposed to look like Margaret McCall. She got sick. Wrote Mother she was not to live long. That there might be no more letters. That she would dearly love to die with her family He had died years before…had left his money to her…had asked her to promise to stay near the children to pass so they would not be embarrassed…and leave the money to them. She promised and told mother she had made her bed and would lie in it to the end but would surely see them in Heaven. Mother was the only one she wrote to. The rest would not answer letters. That was the last letter. Aunt Mary married someone named James McCall whom I never knew. Also never heard anyone say who he was or what he did. As I write this it strikes me that the men these sisters married were for the most part very shadowy creatures. I’ve seen a picture even of only one. Strange. Aunt Mary looked rather like Aunt Abbie but was quiet and rather grim, I thought. Lived with Aunt Margaret and her son Uncle Jim all her life as far as I know. I think Aunt Mary helped with money although I don’t know where she got it. Uncle Jim, her son, was blind. There were two children, Margaret and Victoria, and no help from the state. He caned chairs and wrote poetry for a living. I think they were very poor but did better when the state helped blind people And they got enough money from somewhere to buy the Detroit Tribune and make money. Beulah Allen Pope and son Robert on trip to Detroit. 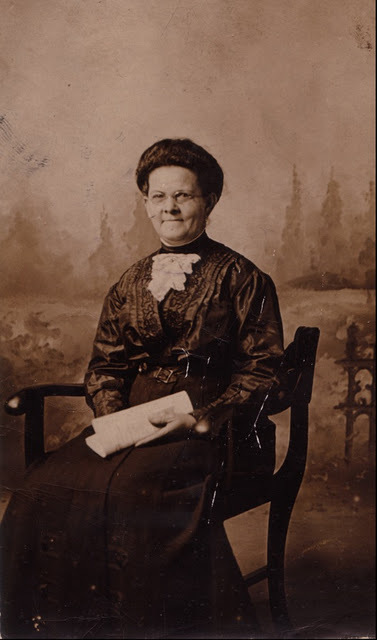 Aunt Beulah who looked something like Grandmother, I’ve heard, married someone named Pope and went to Milwaukee. Don’t know what he did or what she was like. Never saw her. Sent one son through dental school Robert Pope. Very handsome, his twin sister, a beauty married well, had one child the one who kept pushing me around when they came to visit us. I must have been about four, so was he, and he wanted to follow MV everywhere and not let me come. I went anyway. I remember him banging my head against the wall beside the stairs. Strange. He especially hated me because I could cut up my own meat and his mother wouldn’t even let him try. Ha ha!!! Another son of Aunt Beulah was a teacher who married had one daughter who wrote once to Mother and Daddy about family history. Wonder what she got together. I keep hoping to find someone who has already done all the hard work. Back to Aunt Beulah, who was considered the least beautiful of the sisters. Her son Robert built her a beautiful home and stayed there with her until she died not too long ago. Ten or twelve years. They all spoke of her with envy. You have a strong group of women in your family. Doing what they have to do to survive. I am looking forward to reading more about Eliza and her daughters. Kristin – You're doing such a good job of presenting your search and story. I'm thoroughly enjoying your (and your mother's) narrative. It's hard to know how to proceed with such complex material, but you've given me a new way to consider presenting my stories. Thanks. And keep it coming! I feel like one of the subscribers to one of Dickens' serialized novels. thank you. i will keep it coming. it's a real challenge to put it together so i think it'll be interesting. I have enjoyed immensely reading all 4 parts of finding Eliza, keep it coming.